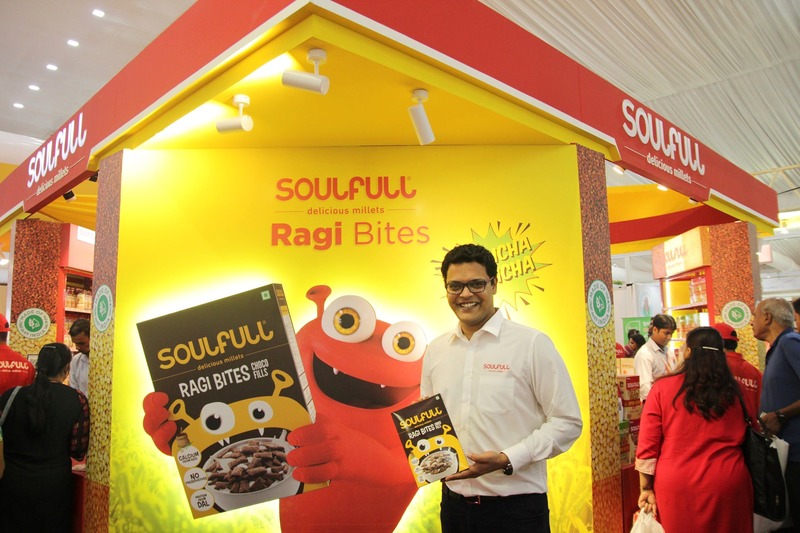 Soulfull within 7 years of existence managed to spread the word about importance of consumption of millets throughout India with their meticulously thought out range of products. It’s best seller Ragi Bites, a neatly packed crunchy crouton made of Ragi with chocolate or strawberry fillings, is a must-try. This is a perfect substitute for an evening snack without calorie-guilt and totally yummy! Rasika, one of the co-founder talks about Smoothix, a powdered mixture of 12 grains including millets, dal for protein, horse gram, green gram for calcium and other nutrients that are essential in your diet. It has no sugar but is enriched with almonds and jaggery giving a freshness in taste. She shares that, Smoothix was invented (here we call it invention because Soulfull puts in extensive research into creating a product to give its consumers the best in taste and nutrition) for the ever-hurried millennial who need nourishment and enrich their “on-the-go” lifestyle. It comes in a nice-looking shaker that can be carried along. With a vision to make India healthier with enriching food is Soulfull’s future goal and soul-shall it be! Head over to the Organics & Millets International Trade Fair and check out the Soulfull stall for a Soul-full snack! If you miss out on the fair this weekend, visit www.soulfull.co.in to check out their range of healthy products! Don’t miss out on Smoothix, their range of health drink and also desi Museli with a chatpata flavour twist!